The Festive Season is here. And most people are celebrating during this period. If you are…. 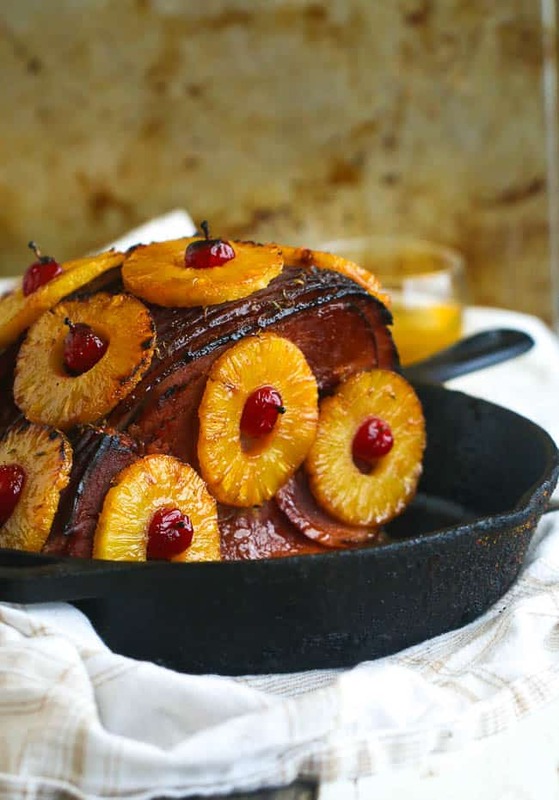 What is better than a flavorful tender and Juicy Pineapple Ham, on the table to WOW your families and friends? And don’t forget Easter! You can make during this period and during the Easter Season too! Since it’s widely enjoyed during Easter and any Celebratory meal. 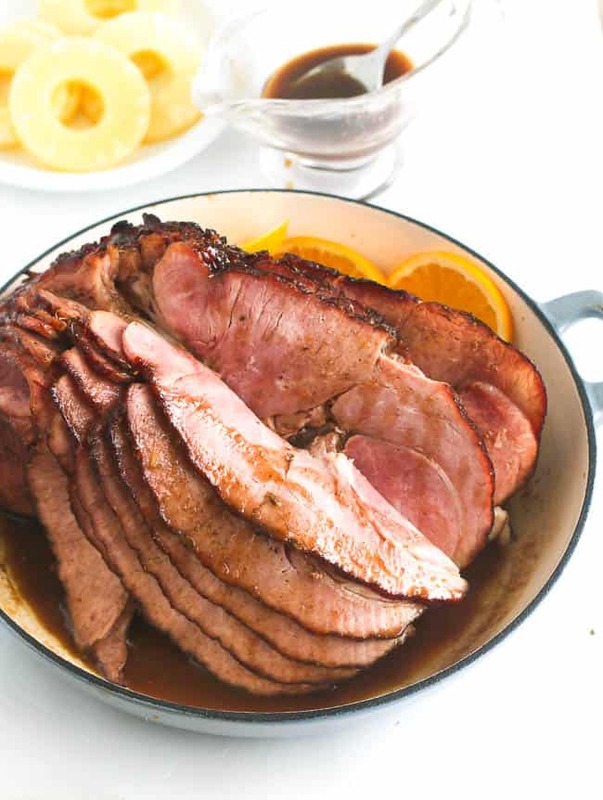 This Pineapple Honey Glazed Ham is a mixture of brown sugar, honey , pineapple and orange juice, mustard, allspice, nutmeg, cloves and a touch of thyme and rum. Yes Rum! If you cook it long enough all the alcohol evaporates . Optional. The thyme might seem over-powering to some so it’s totally optional too! I usually adjust my flavors as I cook , depending on the ham. 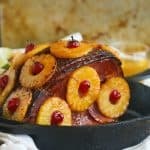 You can have this ham two ways with or without pineapple rings. It’s easy both ways . Putting the pineapple rings and cherries on top is a breeze. You might be thinking what’s up with all the sugar? 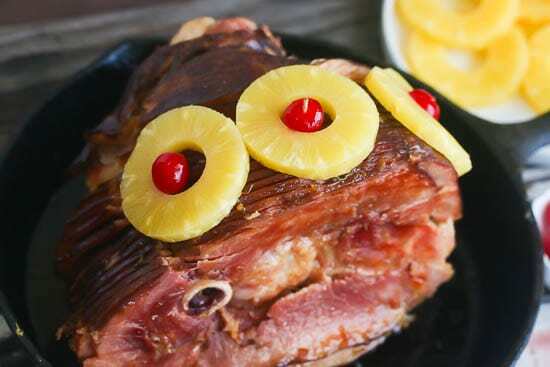 The honey, sugar and pineapple helps act as a foil to the salty ham. I don’t know why they salt it so much . So. 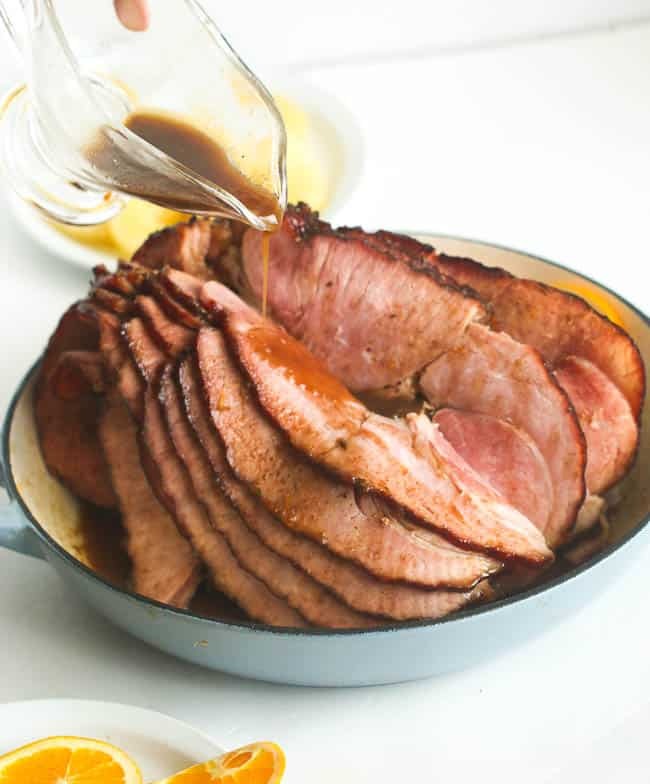 If your ham comes with a glaze replace with your own glaze instead !!! . Your taste buds would thank you. You are rewarded spicy sweet goodness . It’s going to be a showstopper for your holiday dinner table. AND putting it together is a breeze. Now let’s get down to it. Double Glaze if you want additional glaze t o serve. 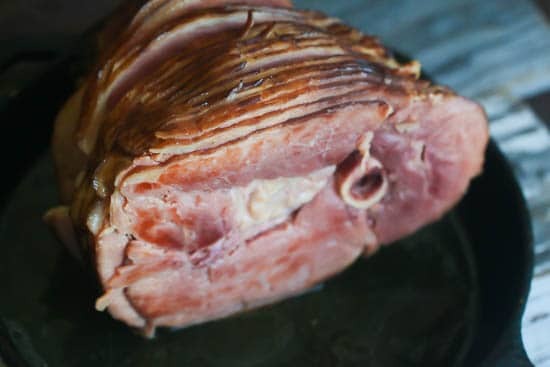 Get some fully cooked spiraled ham from the supermarket. It’s super cheap this time of the year – at my neck of the woods is going for $0.67 . Yes, that cheap ! 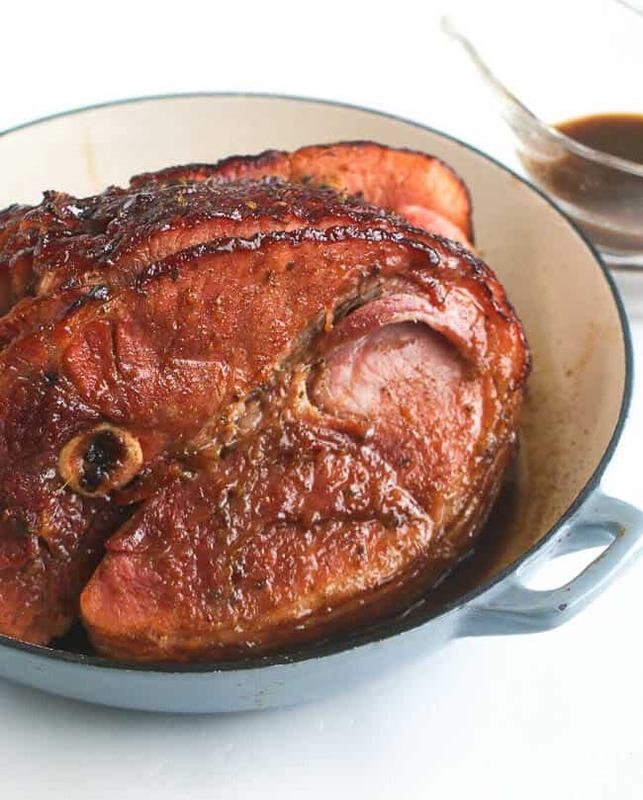 On the day of you reheat your ham – not cook it. You want your ham warm through but not dried out. Low and slow tightly covered in the oven is the best way of doing it , it helps retain moisture. You may adjust the spices to suit taste buds- especially the sugar content. 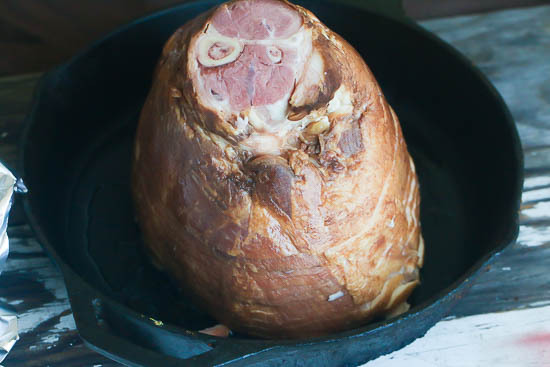 Use any baking pan or cast iron to bake the ham in. I usually use what I have on hand . 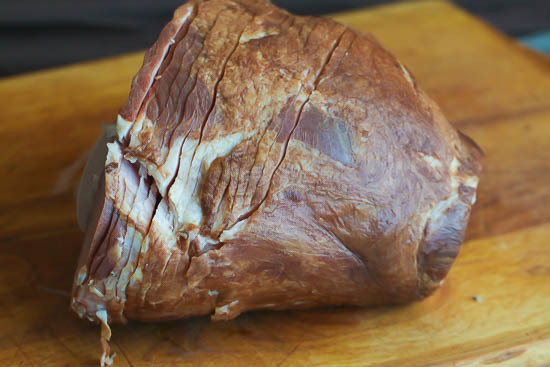 Place the ham cut side down in a roasting pan cover . Sprinkle with about cup brown sugar (optional). 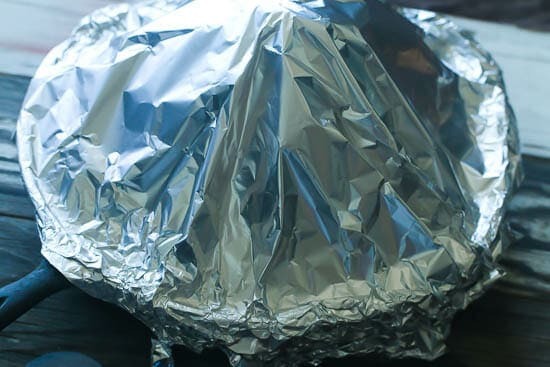 Then tightly with foil paper. 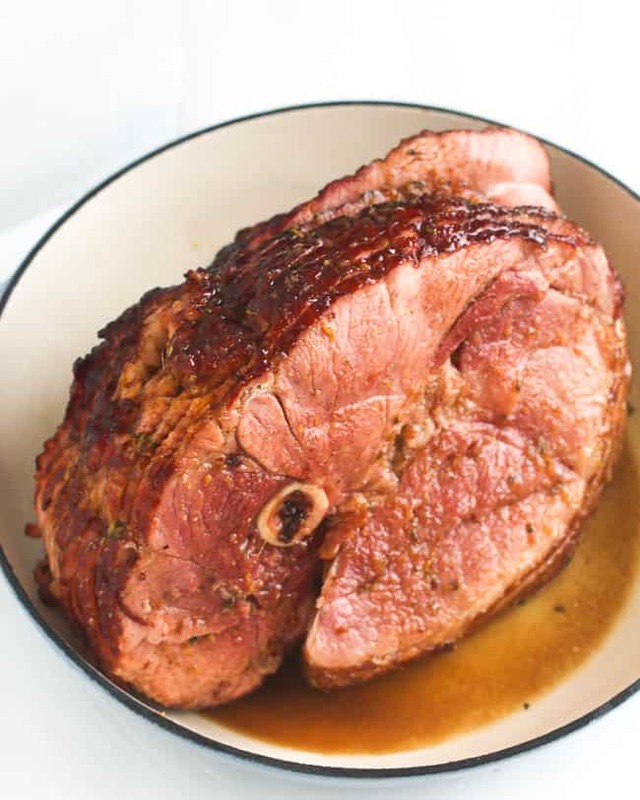 Place in a preheated oven and roast for 10 to 12 minutes per pound. During the last 30 minutes of cooking time the glaze should be applied. Add remaining brown sugar, mustard, orange and pineapple juice, honey ,all spice, nutmeg , gloves, ginger, rum, , lemon juice, and cloves to a small saucepan. Bring to a boil and simmer for about 5 minutes or more until it’s syrupy. 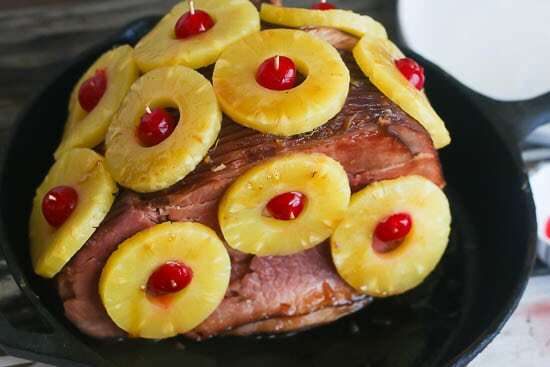 If using pineapple, place the pineapple rings around the ham in a decorative manner. Place a cherry in the middle, then use a tooth pick to hold it in place. Repeat until you have used up enough pineapple to cover the surface . 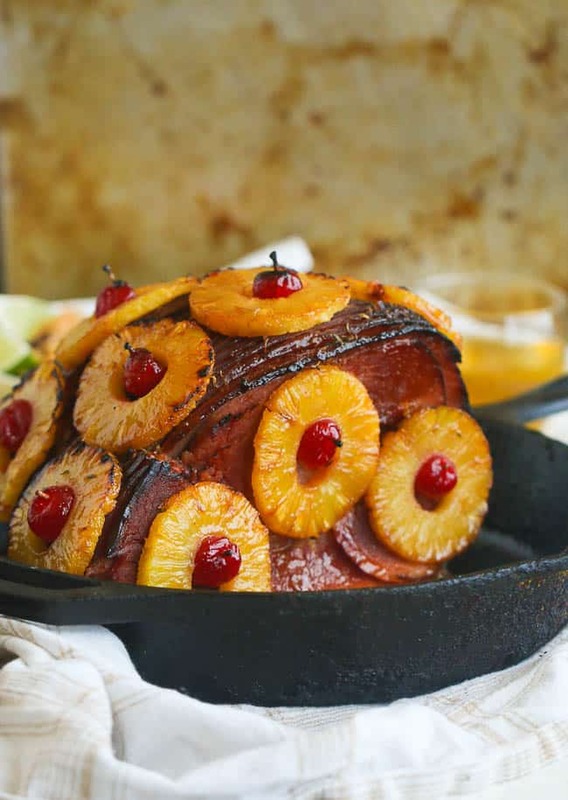 Brush with additional pineapple glaze and bake for an additional 15- 20 minutes (basting ham every 10 minutes.) 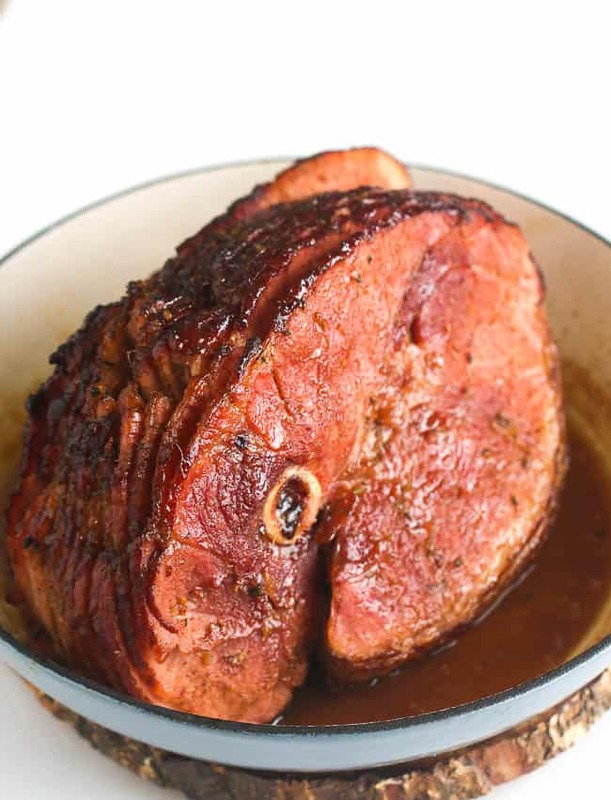 depending on the size of your ham or until an instant read thermometer registers 120°F when inserted into thickest portion of ham. Remove from the oven to a serving platter and let rest for 15 minutes before serving. Serve with a side of glaze. can I buy a whole ham and slice it myself? So sorry to hear about this. It works when your ham is fully cooked. Thanks honey! You’re the best. Hi honey- Thank you for this recipe. It’s great!! 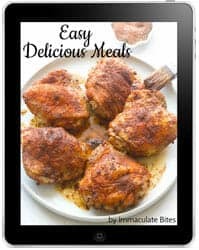 You’re adorable and your recipes are great! Thank you Deje,So happy to hear it’s working out well for you. So, in step #2, you tightly cover the ham with foil, then sprinkle with brown sugar? You mean, over the foil? You did not include measurements for the allspice, nutmeg and lemon juice. ? Ooops!! Recipe updated . Thanks!